This month the Nintendo 3DS arrived and the lines are longer than the Great Wall of China.Â The technology that brings glasses free 3D to the little portable Nintendo unit is likely not to appear on the Nintendo Wii, according to sources.Â Head of Nintendo of America, Reggie Fils-Aime, is happy that the Nintendo 3DS has become the fastest selling portable unit for Nintendo, there is no doubt about that.Â But when he is asked what is up next for Nintendo, he says that a home console is the next to be developed, but the 3D technology wonâ€™t be a part of it. As many people have reported, expressed concern over and give reasons not to buy 3D, the glasses are the hold back.Â If 3D technology is going to go anywhere it is only going to get there without the special glasses or goggles.Â This might have been a lot easier with a handheld, but in the home gaming console market, going without glasses isnâ€™t so easy. 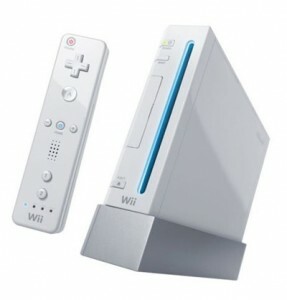 There should at least be an update to the Wii processor and sources say that might be announced at the Electronic Entertainment Expo this June 7th-9th.Â I donâ€™t think that 3D home consoles wonâ€™t be something that comes around in the future, but with a report like this, it sounds like Nintendo isnâ€™t even in the game of trying to make it work.Â In a tight, competitive gaming industry like we see these days, that says a lot to the other console makers, as well as, what Nintendosâ€™ ambitions are.